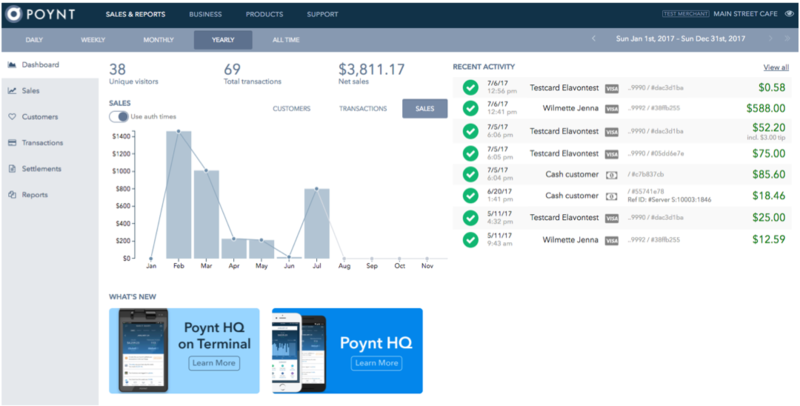 Under the Sales and Reports tab on Poynt HQ, you have the ability to view dashboards, and run reports about your transactions, customers, items sold, and batches settled. 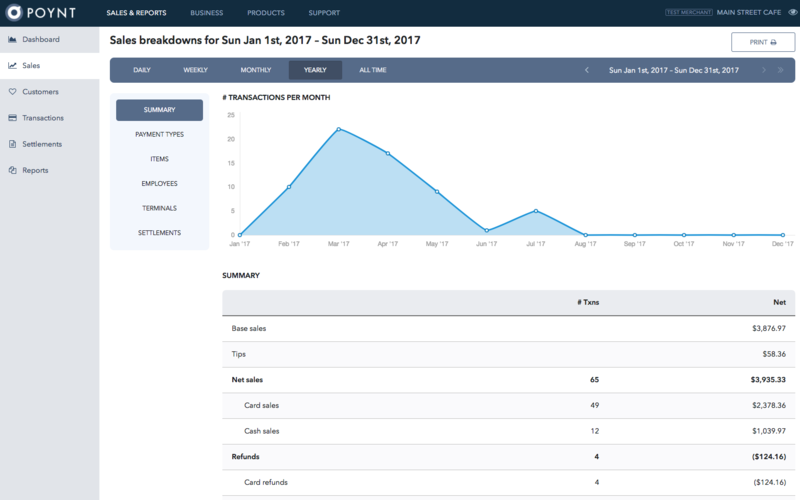 The Dashboard allows you better insight into your business, including unique visitors, sales, and transactions. On the light blue bar above the graph, you can select Daily to view today's transactions, Weekly, Monthly, Yearly, and all of your transactions using your Poynt device. Along the left-hand side, you'll see the ability to drill down to additional data reporting. 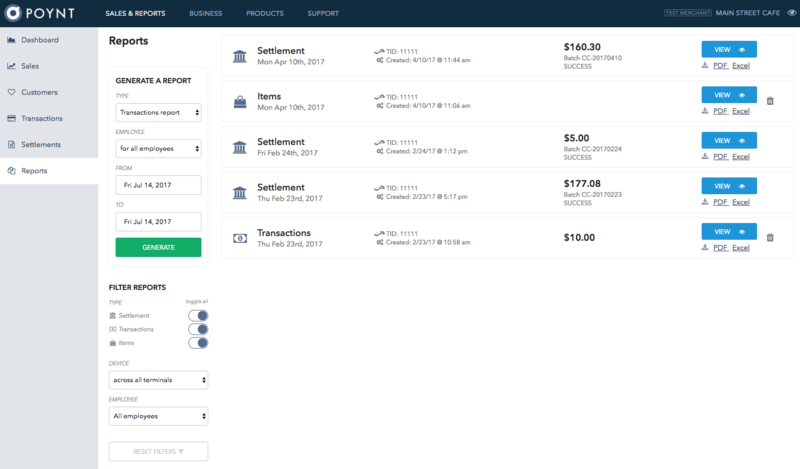 Within Sales, you can view all of your transaction types broken down by Payment Type, Items, Employees, Terminals, and Settlement batches. Under Customers, you can view your sales by customer. You also have the ability to filter your results on the left. Under Transactions, you can view all of your transactions. You also have the ability to filter your results by several variables on the left. Under Settlements, you can view all of the details about your open Batch. Additionally, you can select a terminal in the Individual Terminals column on the left to view and download a report of the last settled batch on that device. Under Reports, you may generate a Transaction report to gather all of your transactions, an Items report to view all of the items you sold using your Catalog and Register app, or a Tax report to review the taxes you applied to orders and items in the Catalog and Register app. You may filter this data even further across specific employees and date ranges. Just below you may filter your report by type, the devices associated with your Poynt HQ, and employees. Each report may be downloaded as a PDF, XLS, or HTML file.